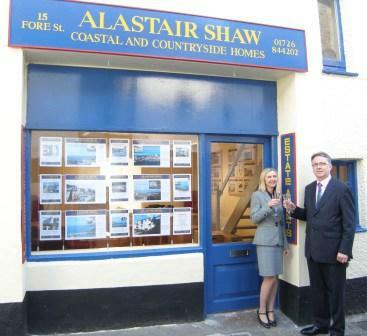 Just five years after founding his own company, estate agent Alastair Shaw is celebrating the opening of a second office on Cornwall’s south coast. He currently runs Alastair Shaw Coastal and Countryside Homes in Gerrans on the Roseland Peninsula, and has now opened its sister office in the nearby fishing village of Mevagissey. Shaw, who has more than 17 years’ estate agency experience, said: “After a hugely successful first five years I am delighted to be expanding by investing in an office in Mevagissey.